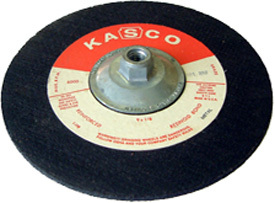 Silicon carbide grinding wheels are typically used for working with non-metalic materials like concrete and masonry. They also can be used to grind aluminum. Use C16-LBF for grinding concrete, masonry, brick and nonferrous metals.